With billboards, petitions, a website and ads, anesthesiologists have made an employment debate with Atrium Health public. 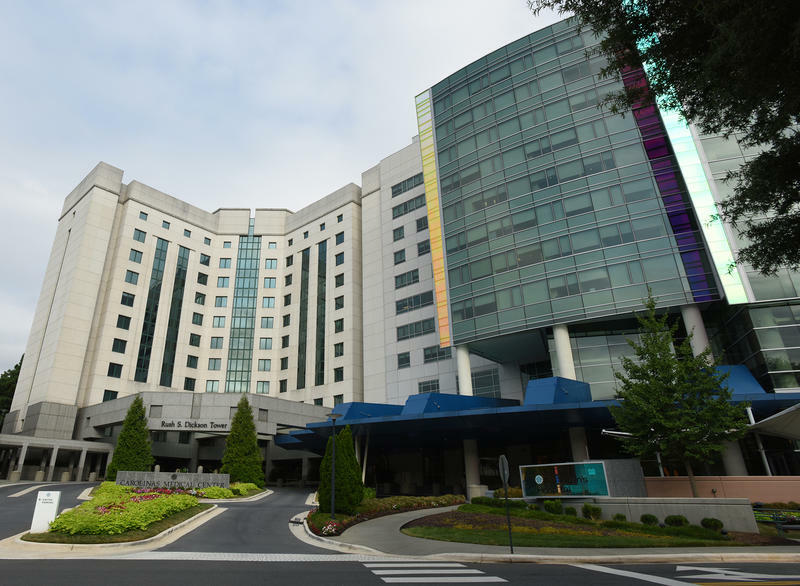 Southeast Anesthesiology Consultants is crying foul over Atrium’s decision to select a new provider, owned by a former Atrium consultant. In response, Atrium is accusing the company of defaming the hospital. How did a contract dispute between Atrium and the anesthesiology provider end up in an ad campaign and in court? Atrium claims this spreading of false information is scaring patients into canceling procedures or staying away from Atrium. The new provider, Scope Anesthesia of North Carolina, said it’s on track to hire doctors to takeover in July. What other claims does Atrium make against Mednax in the lawsuit? Mednax is a publicly traded company that has more than 4,000 doctors across the country. Last year, 38 percent of the company’s revenue came from its anesthesia practices. According to Atrium, at least 50 doctors affiliated with Mednax filed complaints with the state medical board claiming Mednax’s business practices violate medical ethics rules. We weren't able to confirm that since the board doesn't comment on the existence of complaints, only those that it has found to be a violation of those rules. The lawsuit also notes Mednax has lost contracts with Cone Health in Greensboro and Duke Raleigh Hospital. Including Atrium, those practices make up about 200 doctors. Another large group of doctors want to leave Atrium and filed suit to do so this week. Are there any similarities between the two cases? This week, 92 doctors in the Mecklenburg Medical Group sued Atrium to be able to form an independent practice. The hospital system told the doctors to go ahead, and said it would determine how to address the non-compete contract provisions. Mednax doctors also have non-competes that prevent them from working for Atrium through its new anesthesiology group. Attorney Russell Beck, with the Boston firm Beck Reed Riden, specializes in non-compete litigation and has tracked the number of reported non-compete court decisions. He said between 2000 and 2009 they nearly doubled. Since then, his calculations show they have leveled out. 11 states limit or all together bar non-competes for physicians. North Carolina does not.